I just arrived in Taiwan yesterday and was at the TaipeiCycle 2012 Exhibition today. Also I saw the SRAM automatic hub. I would like to try how an automatically shifting bike rides. And a small gadget was the iPhone hoister and amplifier for playing music while riding. 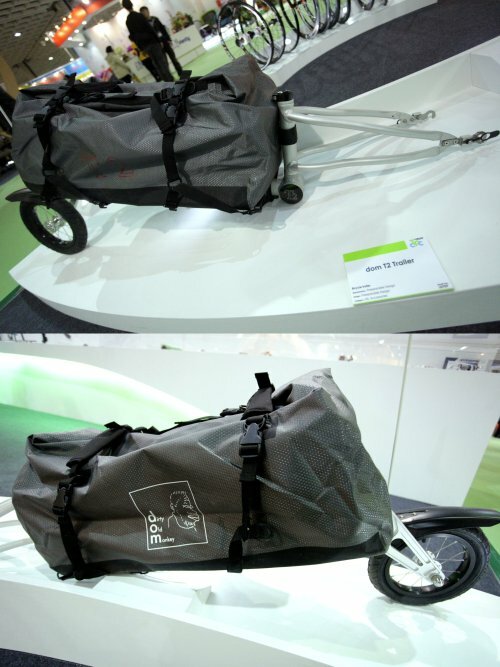 I was happy to see that the bike trailer T2 designed by my Taiwanese bike polo friend Mark Chou received a design award at the exhibition. Congratulations Mark and the freeparable team with their dead old monkey (dom)! Another design which I likes was the brake that is integrated into the fork (for front brake) and the frame 9for rear brake). I bet that will help ride a little bit faster. Hope my next road bike will have that kind of brake. 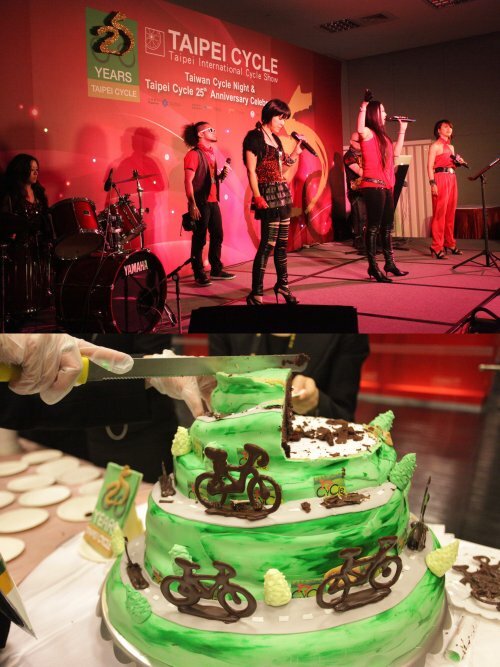 After the exhibition closed the organizers invited for the TaipeiCycle night and 25th anniversary party. I was so happy to attend this party that was on the same day as the Natooke 3 year anniversary. Happy Birthday Natooke! This entry was posted on Mittwoch, März 7th, 2012 at 22:26 and is filed under Asia, Fixed Gear, Media, Performers. You can follow any responses to this entry through the RSS 2.0 feed. Both comments and pings are currently closed. I like that iPhone cover , Cute…..